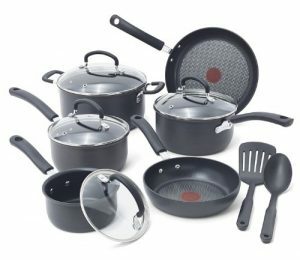 I get irritated when I’m shopping for nonstick cookware. It’s hard these days to find legitimate reviews that aren’t just sales pages thinly disguised as reviews. So, of course, I’m setting out to write the reviews myself, just because that’s the way I roll. 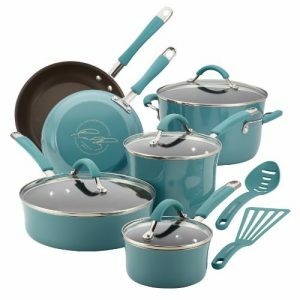 You do have some options when it comes to nonstick cookware and there’s also a lot of controversy surrounding the nonstick coatings that are used in pans. Teflon® and the various other permutations of polytetrafluoroethylene have taken the biggest hit in terms of backlash for toxicity of the nonstick coating used. But the key to avoiding toxicity with your nonstick cookware has more to do with how you use and care for the nonstick pan than it does with what the pan is made from. Any nonstick cookware that gets overheated is going to release toxic fumes. And any nonstick surface that gets scraped with metal utensils will release particles of the nonstick material into the food you are cooking. So just be aware of that reality when making your choices. So let’s get technical here for a moment. There are three types of nonstick coatings you can choose from: fluoropolymer coatings made from PTFE, silicone coatings and ceramic coatings. Let’s take a quick look at each one. Fluoropolymer Coatings are all made with some form of PTFE, or polytetrafluoroethylene. PTFE is a solid and stable coating unless you scrape and scratch it or overheat it. The upward limit for PTFE stability is 500 degrees Fahrenheit. Of all the nonstick coatings, PTFE retains its coefficient of friction (slickness) the longest and is the most resistant to wear. But I can’t stress enough that you have to treat it with care – don’t scratch it or overheat it. Incidentally, this is the same material that bbq grill mats and baking mats are made from. Silicone Coatings use synthetic resins that that are applied to the metal surfaces and then bonded to the metal by high temperature baking. The silicone coatings are used to make less expensive cookware, usually baking pans. They won’t hold up as well as the fluoropolymers. Sol-Gel “Ceramic” Coatings: Sol-gel is a hybrid material that behaves much like ceramic, and has the appearance of a ceramic coating. This ceramic-style coating can withstand much higher temperatures than the fluoropolymers and consequently will probably last longer. Much of the popularity of the ceramic-style coatings is their claim to non-toxicity and the bright kitchen colors they come in. No matter which type of nonstick surface you choose, the rules remain the same. The durability and safety of your nonstick cookware depends on following two rules – don’t overheat your pans and use soft tools only. These would include utensils made from rubber, silicone, wood and nylon. Don’t expect to get the browning or searing that you’ll see with a stainless steel or cast iron pan, because it ain’t gonna happen. So don’t complain about that after you buy your nonstick cookware. That’s just how it is. There’s a cost to every convenience. 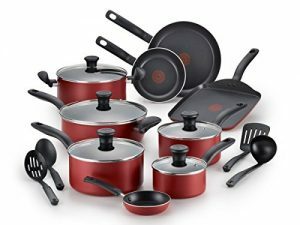 So here’s my top 10 list for nonstick cookware, for now, and I’ll be posting a more detailed review of each specific product in the coming days. Stay posted.